TOOWOOMBA'S Ergon Energy staff have answered a storm SOS call to lend a hand to ravaged areas of Brisbane. A crew of 22 left Toowoomba at 2am on Friday so they could be in Brisbane to start recovery work at first light that day. Their assignment was to help Energex crews struggling to repair extensive damage from Thursday's storm, which was described as being the worst to hit Brisbane since the mid 1980s. 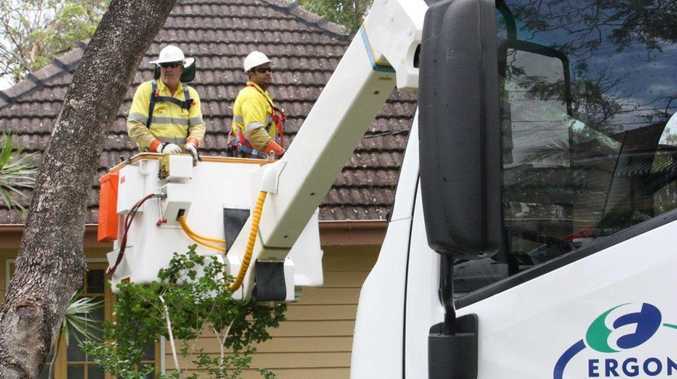 Toowoomba-based lines manager Matt Pearson said the work consisted of repairing the high voltage and low voltage networks in areas including St Lucia, Kelvin Grove and Corinda to enable supply to be restored. Are you prepared for a savage storm? This poll ended on 03 December 2014. "Six crew members stayed on to assist again on Saturday, completing the work started on Friday..." Mr Pearson said. He said damage to the network in some areas was so extensive it had to be rebuilt, not just repaired. "There was a large amount of vegetation strewn across the affected suburbs and this contributed to the extent of the damage. "Crews had to ensure power lines that came down with vegetation were de-energised so the debris could be safely removed and roads re-opened." He said Ergon and Energex, along with other Australian distributors, had an arrangement to assist each other in times of need, particularly after natural disasters such as cyclones, floods, storms and bushfires. 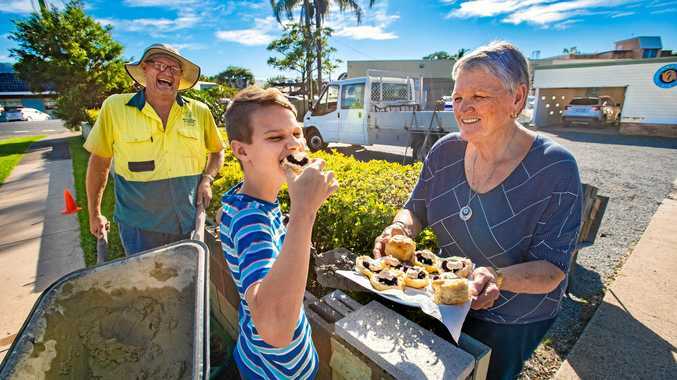 "For example, Ergon crews assisted in South East Queensland after the 2011 flood and Energex crews supported Ergon after Cyclone Yasi and last year's Bundaberg flood. "Provided the same event has not impacted on Toowoomba and the Darling Downs, Toowoomba crews are typically the first deployed to assist in the Energex area." The number of crews committed is based on requests from Energex as well as the number of personnel needed to stay local.